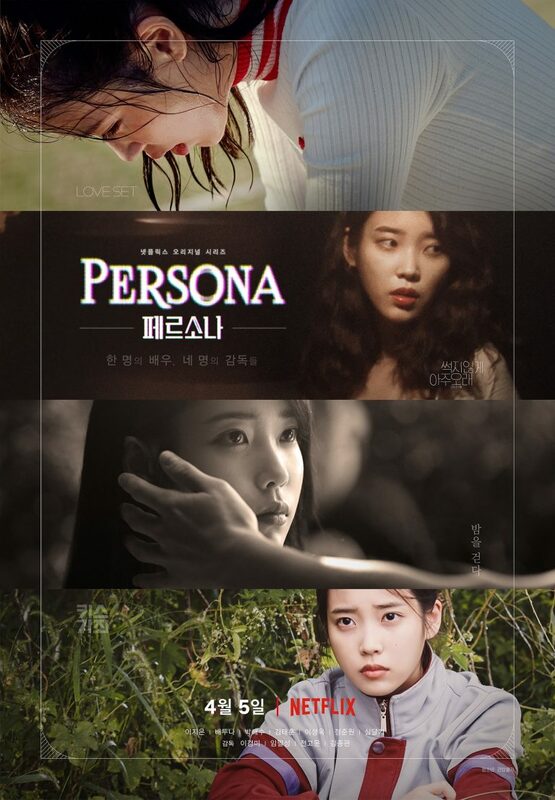 Trailer and poster added for Netflix distributed film “Persona” starring IU. The film consists of 4 different stories starring IU and each directed by different directors. The 4 directors are Lee Kyoung-Mi (“Crush and Blush“), Yim Pil-Sung (“Doomsday Book“), Jeon Go-Woon (“Microhabitat“) and Kim Jong-Kwan (“The Table“). Bae Doo-Na and Park Hae-Soo appear in one of the segments. “Persona” will be available to stream through Netflix from April 5, 2019.